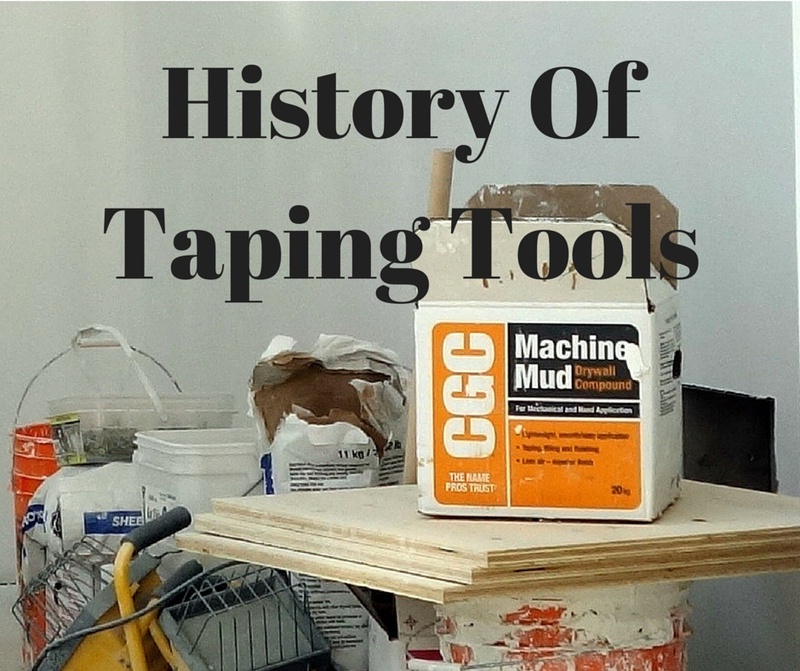 Here is a short history of automatic drywall taping tools in Toronto, GTA and all over Amerca. In 1939, brothers Robert and Stan Ames started experimenting with new ways of finishing drywall in Georgia. They were painters and plasterers who came up with the Corner Shoe, which was the first of a long line of drywall tools. The Corner Shoe applied joint compound to seams using air pressure and a long hose. Ames brothers came up with the pre-curser of today’s Bazooka (automatic taper) in 1945. This first taper was battery powered and weighed more than 100 pounds when fully loaded. In 1951 Ames brothers introduced the first drywall boxes and nail spotters. In 1954 the automatic taper was invented by Robert Ames. The Ames brothers sold their company, Belmont Manufacturing of San Carlos California and its patents for $5.2 million dollars to Bliss and Laughlin Industries from Illinois in September of 1962. The company was renamed Axia Incorporated in 1982. In October 1984, Axia was acquired through a leveraged buyout by affiliates of Merrill Lynch & Co., Inc., certain members of senior management, and other investors. Tapeworm – Tapeworm Automatic Taper by Murco Wall Products was the first brand of automatic taper available for purchase in 1977. Murco Wall Products have stores in Texas, Arizona, Colorado, Tennessee, Alabama, and California, and still market their silver coloured Tapeworm Tools. Columbia – Columbia Taping Tools got its start in 1979 when Bernie St. James was involved in Nanaimo Tools then Tornado Tools. Bernie was making tools out of his garage on Vancouver Island at Columbia Beach (near Parksville) and changed the name to Columbia Taping Tools. They are now based out of Surrey, B.C., They are a family run business and make some of the best tools in the drywall business. Columbia also makes a wide variety of drywall tools for Marshalltown and more recently a taper for Wall Tools. Drywall Master – Larry D’Souza founded Tapemaster Tools in 1980. He later formed Drywall Master in 2000. With the company is Larry’s son Sunil D’Souza and Robert “Johnny” Payne who started with the Ames Brothers. Drywall Master is headquartered in Chicago, Illinois and continue to produce quality tools. Concorde Taping Tools, (Concorde Tools Corp.) Surrey, B.C. was owned by Donald Mark MacMillan, an inventor and former drywall finisher and Raymond Bernier. LFD Industries (Yee Bun Lee, David Fung and David ****) purchased Concorde in June 1990 and kept Macmillan on as a consultant. Macmillan left Concorde in 1997 and formed Northstar in December 1997with Mr. ****. Concorde sold the patents on their red tools to Ames in 1999. NorthStar Tool Corporation – The first tool Mark Macmillan built was the AdjuStar extendable flat box handle, acknowledged to be the “state of the art” in adjustable handles. The first Northstar AdjuStar was sold in March of 2000. Their products were a metallic green in colour and they were British Columbia based. In 2007 Northstar affiliated with ToolPro and their tools are no longer being made. Drywall Tools Inc. out of San Carlos, California was started by many of the inventors of the original drywall tools at Ames and later became Premier Taping Tools. Premier Taping Tools was based out of Stockton, California and started by Robert Ames, Stan Ames and Carl Raff in 1974. They developed what became know as the “Blue Tools”. The company was acquired by Axia and then shut down. The Premier tools became the basis of the TapePro andBlueLine tools. Belmont Taping Tools – Belmont Taping Tools is owned and operated by Carl F. Raff in Belmont, California. Carl worked with Bob and Stan Ames as a principal developer of both the original Ames Taping Tools and the Premier Drywall Tools. They were a light purple in colour. TapePro Drywall Tools – Stewart Orchard started this company in Australia in 2001. Stewart is a son of Graeme Orchard, owner of Wallboard Tools in Australia. Stewart had worked for some time at Premier Taping Tools. Blue Line Drywall Tools – Blue Line Drywall Tools was launched in 2002with some of the key people from Premier Taping Tools. TapePro Drywall Tools is part owner of Blue Line. The company was based in Stockton, California. Goldblatt – H. Goldblatt Tool Company in Kansas City was started in 1885 by Henry Goldblatt and was primarily involved in cement trowels. It ended up in the hands of Axia Incorporated and in 1992 it was purchased by Stanley Works. FinishPro Tools of Lenexa, Kansas purchased from Stanley the Goldblatt name in 2006. In 2010 Goldblatt Tool Company was sold to Hong Kong interests and renamed Goldblatt Industries. Goldblatt continues to operate in Kansas and Shanghai,China. They have a line of bright red coloured automatic taping tools. Wilco Drywall Tools – Established in 1985 with Willis Trout in Pennsylvania. In the video below you can see how our professional drywall tapers use simple taping tools to mud drywall for one of our recent projects in Toronto. 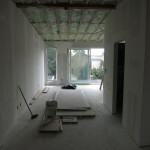 Need some drywall work done around the house? The Toronto area is full of drywall contractors. So how does one narrow the field to find people that will work well for you? Do your homework to find out what type of name they have in Toronto. 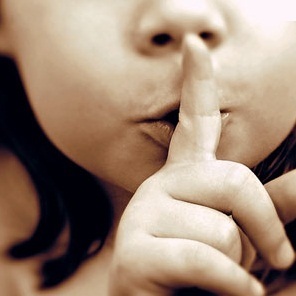 In the age of internet you have all the information you need at your fingertips. Use Google, Yahoo or Bing to find how you potential drywall contractors are represented online. Do they have a website? Do they have pictures and videos covering their projects? They can help you quickly assess their qualification. In the age of social web it makes sense to check out reviews online. Websites like Homestars, Google Pages and even Facebook allow clients to leave their reviews and testimonials. Drywall contractors should be in the business of turning customers into spokespeople, at every job they work. So ask your friends and family who they’ve used and who they like and can recommend. Get some price quotes and think about how much you can afford to spend. Larger companies may charge more, but may bring more credibility and guarantee to the table. At the same time, newer and smaller companies may be willing to do a bit more to get the job and earn your referral when the job is done. However, keep in mind, if the offer is too good to be true, probably it is and you may end up paying twice if you risk to hire an unqualified contractor. A lot of homeowners hire us to fix the poor work that has been done by someone else. Of course the cost of fixing is higher than that of a new project. This can be a deal-breaker. Decide exactly when you need your project done. If there’s no big rush, a company that can’t start for another 2 weeks is fine. However, if you need this done before you have guests over the long weekend, make sure your crew can be in and out by then. Keep in mind though, most reputable companies have their schedules filled up, hence their reputation, and usually require a 2-3 week prior notice. 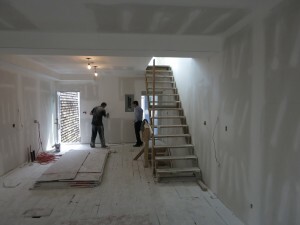 Toronto drywall taping team expanded! We’ve grown, and we got some talented new people on board who specialize in new home construction that are quick and efficient. The new team DrywallTaping.ca is ready to explore this market and work on any size home new construction drywall projects thanks to additional equipment and personnel capacity. We will continue to deliver the same level of service, quality materials and highly experienced drywall installers and tapers that we have built our business and reputation on over the last decade. No matter how big or small your project is, call 647-866-0201 or email info@drywalltaping.ca for a friendly quote or free onsite quotation. Past project references available. DrywallTaping.ca is very excited to be able to grow its Toronto talent set and expand as a #1 drywall company in the Toronto GTA. In this time of Thanksgiving, we thank all of our customers, suppliers, friends and supporters for your continued support and we look forward to continuing to exceed your drywall taping expectations well into the future. DrywallTaping.ca officially started up a new chapter in our storied history as Toronto leading drywall services provider. We have some exciting news to share with you. Here is the first: DrywallTaping.ca is excited to announce that we have joined the Toronto Construction Association (TCA), one of Canada’s oldest and largest associations. In existence since 1867, it currently serves over 2,000 member companies across the GTA. Membership in the TCA provides us with entry into networking and educational events and access to industry updates which we then apply to each and every drywall installation and taping job we do. DrywallTaping.ca is proud to be a part of Toronto’s construction industry and we commit to support and help boost the growth and quality of it as a whole. 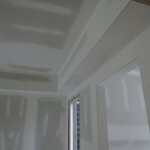 Drywall installation and taping in Toronto in winter time. Drywall installation has no differences in winter and summer time. The delivery of materials doesn’t make a big difference either. However most drywall contractors I talk to in Toronto know that taping, mudding and sanding take way longer in the winter than usually in the summer. The best and the fastest way for the mud to dry is low humidity and high temperature. In the winter every time when doors are open the heat is running away and the mud gets colder, it takes much longer to dry. On the other hand, if windows and doors are closed the humidity rises, the mud gets more moist and it takes longer to dry again. 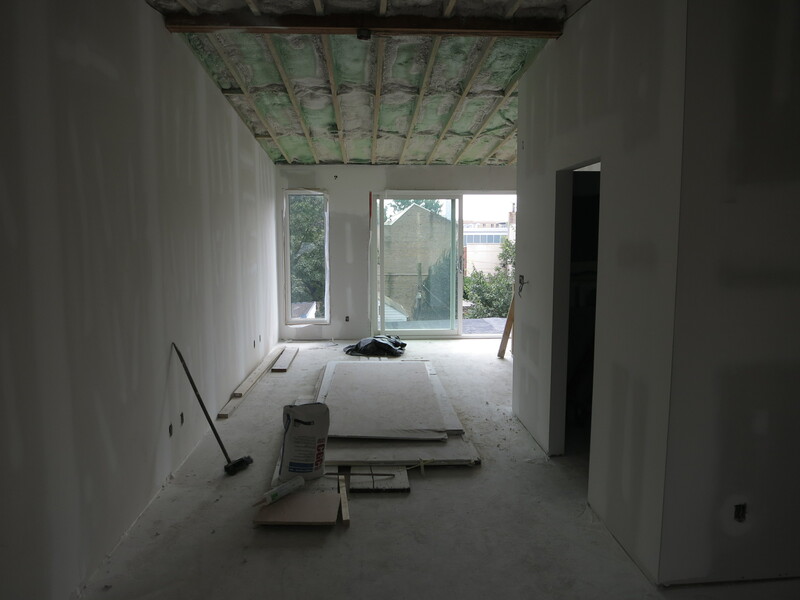 in order to achieve the best results and the shorter time for drying the drywall contractor should be knowledgeable enough and have enough experience to balance temperature and humidity. The house needs to be heated well ventilated by the means of fans and open windows. There should be nice timing for the windows to be opened so that humidity could reduce and closed after some time before it gets too cold which will lower the temperature of the sheetrock or compound and make drying time longer. When professional drywall contractor gives you a quote they can never promise or guarantee the exact amount of time required of finishing the project, as it’s not possible because one never knows how long it will dry. From my experience I can predict with 95% accuracy how long it will take, but will never take a chance to guarantee, even though I can tell exactly how many days or even hours it will take to install drywall. Remember, when choosing the professional contractor pay attention to their promises. If they guarantee the exact time for the project which is shorter, than that of all the other contractors, there is a big chance that the contractor is a novice in the business. 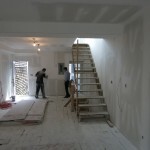 The best way to find drywall and taping contractors in Toronto is either trough your friends or on www.homestars.com this site is very reliable with all the materials and reviews they provide. Of course no one is perfect so make your decision based on your research. After the recent flooding caused by a heavy rain, lots of houses and commercial building got their basements submerged under water. The rain water brought damage to interior of the houses including walls, that in most cases are made of drywall. 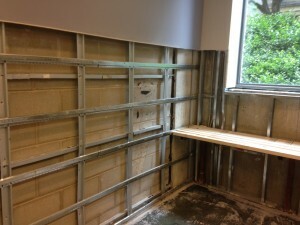 After the rain flood we at DrywallTaping.ca are now flooded with calls for help to repair the damaged walls. 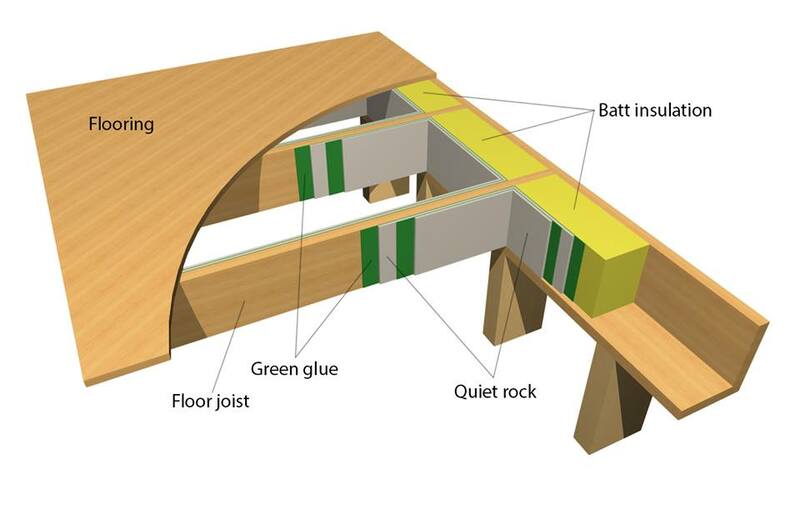 We get a lot of questions on what to do, how to prepare the damaged basement for the restoration, what steps to take before and after the drywall installations? 1. Remove the water from the basement. 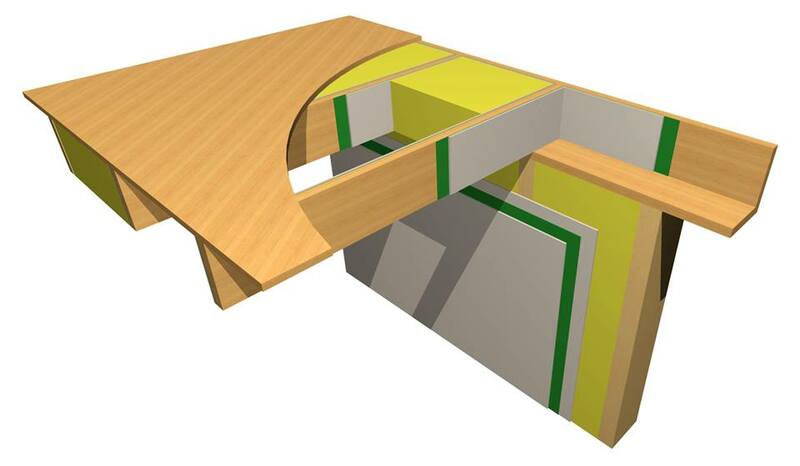 When choosing the Drywall installation and Taping company, make sure they specialize or have extensive experience in restoration, as it requires special skills and different techniques. 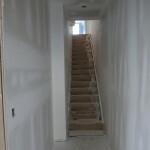 We at DrywallTaping.ca specialize in wall restoration, have vast experience in dealing with flooded basements and working hard to help people restore their houses.